Which Path For The New Year? I hope today’s post finds all of you healthy and happy in this new year! Even though the world in my area is freezing and cold, I am feeling warm and creative on the inside. 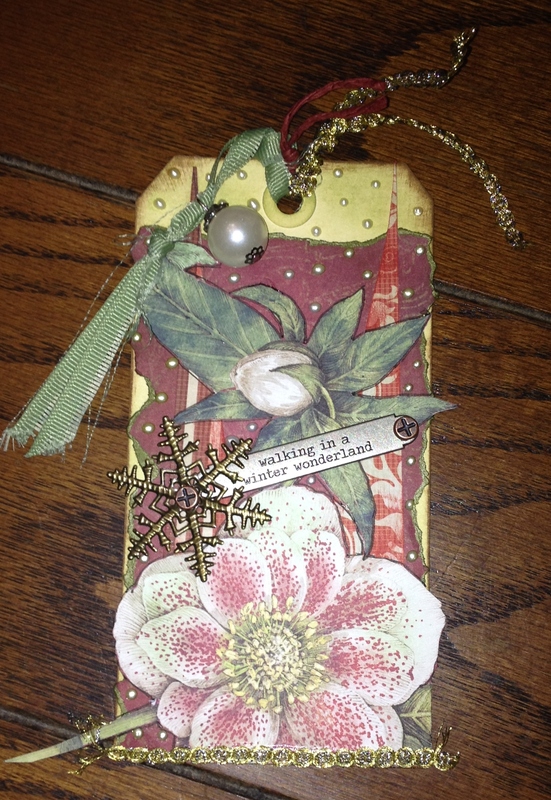 I enjoyed creating ornament gift bags for holidays…. 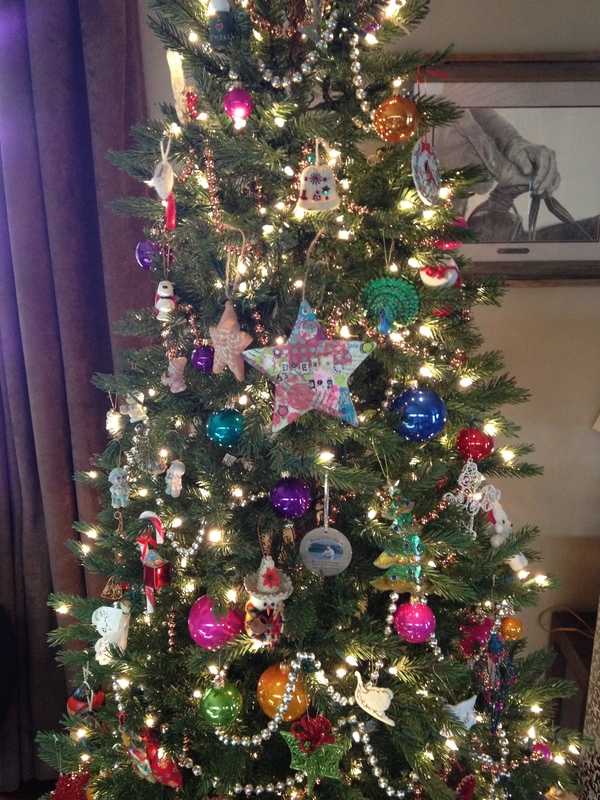 I really enjoyed decorating the tree…. Now that all of that is behind me, like a lot of people, I’ve been considering my goals for the new year. Personally my goals are much like many people–work on balance in my life, lose a few pounds, be fiscally responsible, yadda yadda yadda. Artistically my goals are not so clear these days. 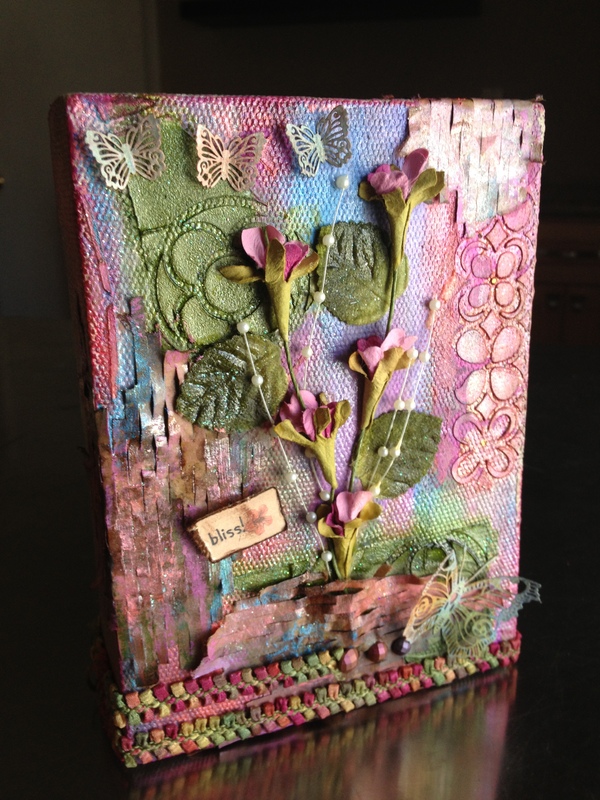 I love working with paper and mixed-media and paint and art journaling and beads. Over the years my skills and interests have expanded and changed and morphed and melded into a wonderful and colorful experience. With the start of the new year I find myself wanting to turn some sort of page with my creativity. For the past few years I’ve experimented with selling my one of a kind mixed media cards and met with some success but now there are various outlets (i.e. 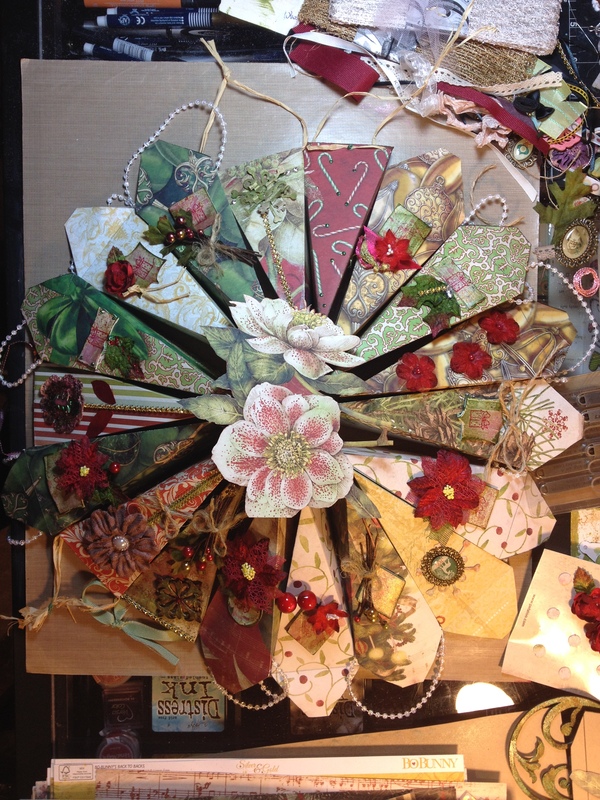 discount stores, box stores, kits) that now sell handmade “looking” cards for cheap. I’ve decided to continue making cards for my own personal giving and also for art abandonment and charity purposes but no longer for retail sale in the traditional sense. I’ve also enjoyed scrapbooking for the past 8 years or so. I’ve filled some nice fat albums with my layouts and given them as gifts at times. My family enjoys looking through them from time to time and appreciates the work I’ve put into them. I’ve belonged to several monthly scrapbooking kit clubs over the years (currently Swirlydoos), but there is no denying it is not the be-all and end-all of my creativity these days. I will continue to do my kind of scrapping but I’ve decided to really limit my participation in challenges and round robins. Sometimes I have so many deadlines to meet that I am not taking time to experiment and explore creatively outside those things. 2013 found me delving into the world of YouTube videos and photo tutorials for learning things and laughing at things. I even delved into making some video and photo tutorials myself (yikes!) Look up the Katyoparty channel if you want to check those out. I am enjoying the fumbling and funny learning curve that making videos entails. There is so much more to it than just clicking record…… I am going to continue to experiment in that area. My fascination for mixed-media has been growing over several years and that is what I am whole-heartedly embracing these days. Art journaling is my current obsession for experimentation. 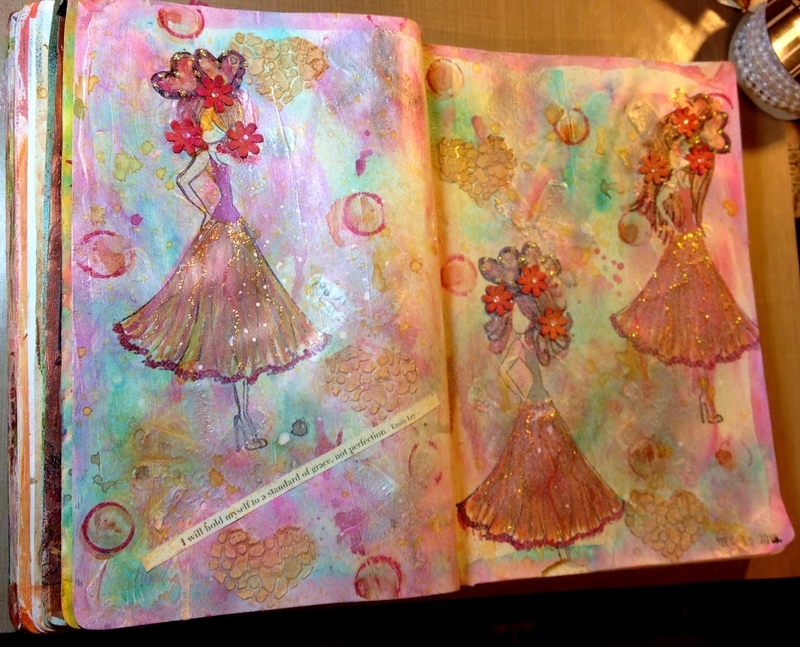 I am completely enamored of art journaling because there are no rules or expectations and you can mix any technique, medium, and/or elements you desire. Do what your heart desires–it’s all good! I am going to continue with my art journal play. My mixed media play has now jumped to canvas and I’ve been adding more paint and other mediums but I’ve only experimented on small substrates. I want to work on something bigger–something really messy! I’ve never been published so I’m going to submit something to somewhere at least three times this year. How’s that for a vague-ish goal???? Another of my goals is one that is very well-known by many…..
Until next time….Art Out With Your HeART Out! Isn’t it so good to see what we have accomplished in the year gone by – personally I think it is more important to do that than to make those silly ‘resolutions’ that 99% of the time aren’t kept…. You have certainly achieved a great deal in the past year – those Christmas gift bags look stunning! 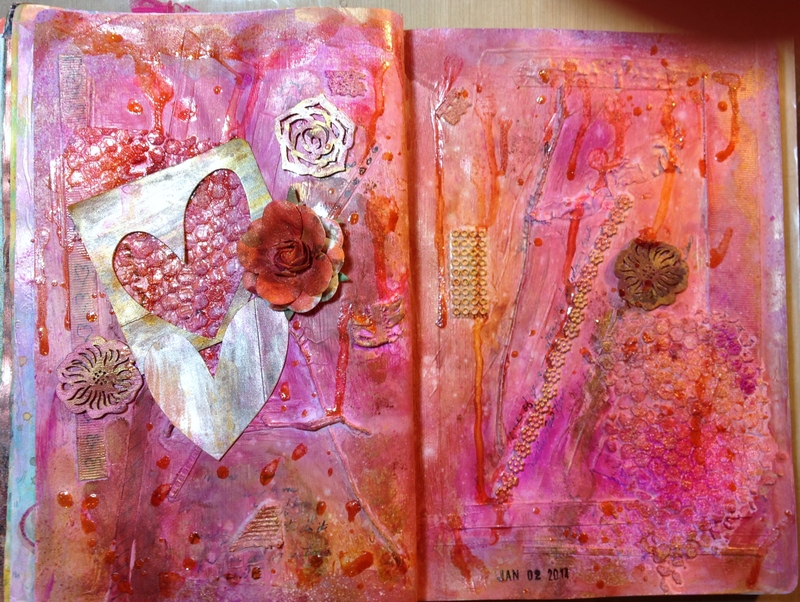 And your art journal page is also beautiful And I have always loved seeing your mixed media work when you post it……. The slow and anguished demise of my previous lap top kept me off You Tube for several months – she just down-right refused to play anything for me………… but was sometimes okay with letting me view stuff posted on blogs. Go figure! Now that I am the proud owner of a working Esmeralda I shall take some time and pop over to your channel. Love the canvas with all its textures – and the page of girls [old friends of mine!] but especially, I applaud your intention of investigating being published and wish you well with it – can’t see why someone wouldn’t snap you up personally! Your work is wonderful and varied. The colors are gorgeous, the textures unique, the ideas so fun and interesting! I do love that you have such a list of goals, but that they are a bit fluid as well. Thanks to Pauline for bringing me here! Thank you very much for your kind thoughts and words. A dance video….now that would be something to see–haha! Pauline is such a fun soul! Thanks for visiting–stop by again soon.